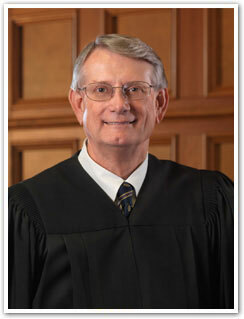 Judge Lawrence (Larry) Puckett was born May 7, 1951 in Bristol, Virginia. His early education was in the public schools of Bristol, Tennessee and Sullivan County. He received his Bachelors degree in history from Bryan College in Dayton, Tennessee in 1973, and his law degree from the University of Memphis in 1979. 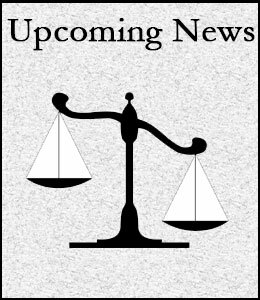 After seventeen years of practice as a trial attorney in southeast Tennessee, Judge Puckett was first elected in 1998 to the Circuit Court bench in Tennessee’s 10th Judicial District comprising the counties of Bradley, Polk, McMinn, and Monroe. Always an avid reader and lifelong student of history, Judge Puckett has a special interest in legal history and the Scopes trial in which William Jennings Bryan, the namesake of his college alma mater, took a leading role. Judge Puckett resides in Cleveland, Tennessee, with his wife of thirty-eight years.